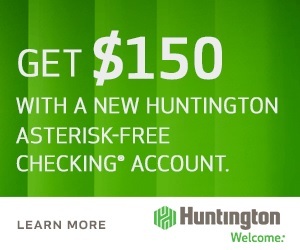 If you’re interested in banking at Huntington, you can earn a $150 Huntington Checking Bonus when you open their Asterisk-Free Checking Account. And we have all the details you need to earn your bonus! 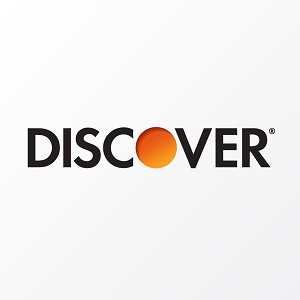 • $150 bonus by making total deposits of at least $1,000 within 60 days of account opening. The Huntington Bank Asterisk-Free Checking Account is offering a new account bonus of $150 if the individual meets certain requirements. In addition to gaining a generous Huntington Checking Bonus, you gain a great bank! 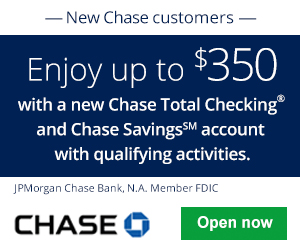 Huntington Bank $150 Checking Bonus: If you are eligible for this bonus offer, visit your nearest branch or go online to open a new checking account and earn your $150 bonus! For our compiled list of Huntington Bank Deals, Bonuses, and Promotions, see our full list here. All you need to do is open a new Huntington Asterisk-Free Checking account and make total deposits of at least $1,000 within 60 days of account opening. It’s really that simple. Your $150 Huntington Checking Bonus will be deposited into your new checking account within 14 days of meeting the above requirements. There are no fees involved with the Asterisk-Free Checking Account. This $150 Huntington Checking Bonus is really appealing and fairly simple to obtain. If I were to live in one of the qualifying states, I would be quick to open an account to earn this generous bonus offer. The great thing about this bonus is that there are no monthly fees involved with the Asterisk-Free Checking Account. This $150 Huntington Checking Bonus should be a very easy to obtain with 60 days to meet the deposit requirement! Be sure to check back on BankDealGuy for more bank deals!